Tips for a successful engagement shoot, and a famous pinterest arm video of mine! *All photos were taken by Abby Lorenz Photography! She is available for hire! I love the pictures in front of your apartment door. It's a must! (If you live together) Or at least visit a place that you both love. A restaurant? Bar? Park? A special tree? Props are fun. Grab something that you both can play around with. It will make posing less awkward and you can focus your attention on something else. Walk and talk. You both know how to do this. If you just walk the streets of your town or you "hood" you will feel comfortable. OK it is a little odd having someone follow you around with a camera, but if you are like me that's a dream come true! For my fiance, more like a nightmare Anyway, try to pretend that it is just the two of you. You do not always have to pose. I LOVE streets pics. Stop in the middle of the road. Look both ways first!!! Use your environment and get a little silly and creative. We saw a ledge and right away Abby said "hop on up"! We had so much fun and it created an easy flirty environment. Use Pinterest for ideas! I did. We had a "chalk fight"! What a blast! And the pictures came out awesome. What are your passions? What do you love to do ? Do you both run? Paint? Golf? Fish? I love to dance. So that is what I did. We ended up with some great shots. If you do something you love it will come natural! Lastly, the one leg up picture! So cute and sassy. Try it! Posted on December 10, 2012 by Brandon Bettencourt and filed under fun and tagged arms bride engagement photographer photos pictures video wedding. and my last day was my first pilates reformer class! Have you ever tried the reformer? Did you like it? Enjoy and feel those obliques working! Posted on May 15, 2012 by Brandon Bettencourt and filed under fun and tagged california hills obliques pilates reformer running twists. homemade ice cream... no ice cream maker needed! Who loves ICE CREAM?! 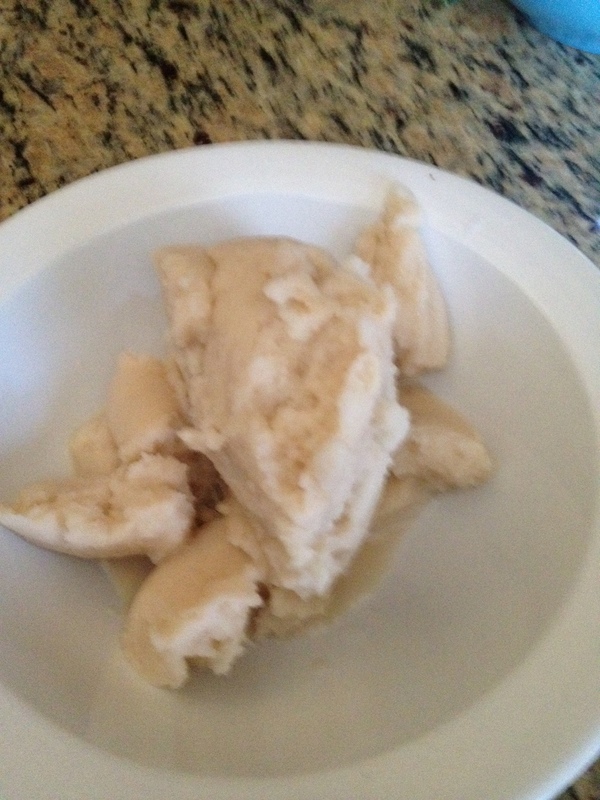 With a little experimentation and fun I created homemade ice cream. Excuse the image quality, I was shaking with happiness when I realized what I had just made. * The following measurements are approximate. This is the first time I made this ice cream, and I didn't measure anything. So feel free to switch around the measurements, and do what is best for you. My camera man did not think the ice cream was sweet enough but I thought it was fine. The first couple of bites might have tasted a little like play-dough, but whatever.. it was homemade and I was happy! Mix the almond milk, vanilla extract and sugar in zip lock bag. I would put it in a thick freezer kind, just so no leaks occur, but no big deal if you do not have them. Squeeze all the air out of the bag and seal. Place your zip lock bag in another zip lock bag. Make sure all air is squeezed out of both bags! Seal it up. 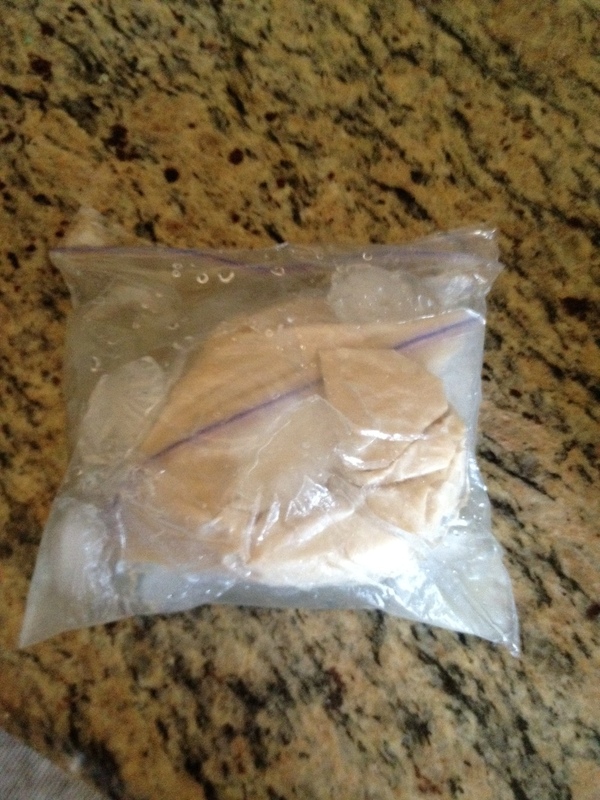 Place both bags in ANOTHER zip lock bag, but to this one add plenty of ice and salt, so that it surrounds the other bag filled with the almond milk mixture. Seal. Grab a towel to wrap around the zip lock bags and begin to shake, does NOT have to be furious. Just get the mixture moving a little. Do this for about 5 minutes. Then place in freezer for about 5 minutes, then pull out and shake for another 5 minutes. This is what I did and then end product was awesome. I am not sure if it is necessary to put back in the freezer, but I was tired of mixing it around and thought putting it in the freezer would be the best place while I rested before I started my mixing again. Check the mixture and continue to move it around until you see it becoming more solid... it is such an exciting feeling when you realized you have made ice cream!!! Posted on February 5, 2012 by Brandon Bettencourt and filed under fun, food, dessert. Posted on December 12, 2011 by Brandon Bettencourt and filed under fun, sweat, video, fitness. Send me pictures of you holding a Plank! Post them on my facebook page "sweat with lauren hefez"
Posted on December 6, 2011 by Brandon Bettencourt and filed under fun, fitness. I love good eyebrows. When I see someone with nicely shaped eyebrows its guaranteed that I tell them. Through a recommendation, I tried a new eyebrow shaper 2 years ago, and now I am hooked! Her name is Cindy Jensen. If you are looking for a talented shaper, she is it! She tweezes for 30 minutes, trims, and measures. After I am done my face feels bright; I am a new woman! Cindy says the worst eyebrow shape she comes across is the tadpole. This happens when you leave the front of your brow thick and then right after start to create an arch, but ignore where the natural arch of your brow occurs. See a resemblance? know someone who needs eyebrow intervention? Cindy is your gal. The cost of a brow shaping is $45, not including tip and sorry no foot massage included! This is the price you pay for the best eyebrows EVER! She also does makeup consults, and makeup for events! You can find her at Studio 9, Newbury st. Check out my before and after pictures. She never goes tweeze happy, but you can tell her if you like them more thin or full. I like them a little more full. If you see Cindy let her know Sweat with Lauren Hefez sent you! Posted on August 11, 2011 by Brandon Bettencourt and filed under beauty, fun, vogue. One of my favorite things to do when going to a spa is drink their water. I like to call it "spa water". Spa water is usually infused with fruits like cantaloupe, watermelon, and blueberries. It's refreshing and wonderful, best part.... it's NATURAL! And then comes along mastermind Kara Goldin, CEO & Founder of Hint Water®, who bottled my so called "spa water"! Genius! As a mother of four, her inspiration came from wanting to give herself and her family a healthy drinking option, and wanting it to have more pizzazz than plain water. The creation of Hint Water® started in her own kitchen, as she would add fruit to her families water. Her flavored creation become a hit amongst her kids, and her kids friends! Supermarkets are flooded with sugary flavored water and soda, but hint gives you that "healthier" option, and is far more fun . HOW is the water flavored you ask: Hint uses the REAL fruit. Sometimes they use the rind, sometimes the peel and sometimes the whole fruit! I first discovered Hint while in the Hampton's. I was at the beach and was craving a refreshing drink. My drink of choice, 98% of the time, is plain old water. I was pleased when I saw Hint, and after reading its pure ingredients I knew I had to give it a try. Glad I did! The Marketing Manager of Hint Water(Boston), was kind enough to hand deliver three cases of this wonderful drink! I will be sharing this water with all my personal training clients, friends, and family! Now go find some hint water and drink up! Cheers! Posted on August 3, 2011 by Brandon Bettencourt and filed under fun, food, fitness. Yesterday was National Dance Day and to celebrate I taught a 45 minute dance/ZUMBA class to some awesome and energetic dancers and then bustled over to Lululemon Pudential Center to dance in their window! This is not the first time I have done this, and hope it won't be the last. The different reactions I get from walker-byers are priceless! You have people smiling, waving, and cheering as they walk by. You have people who stand and watch and those who quickly hustle by and not even make eye contact. My favorite are the little boys and girls who watch in amazement and then start dancing with me! The whole crew at Lululemon was so supportive and excited to dance. I even had Laurin, one of the assistant managers, jump on the "stage" and boogie with me! Thank you Saturday morning dance crew girls and Lululemon Atheltica for sharing National Dance Day with me! Posted on July 31, 2011 by Brandon Bettencourt and filed under events, fun, Uncategorized, vogue, fashion, fitness and tagged dance lululmeon national dance day sweat workout. I had heard rumor of a bike transit system coming to Boston, and was so excited to see the Hubway stands up and ready to use today! Such a cool system that I will be testing out! I saw this stand in my neck of the woods, the North End. How it works: A bike costs $5 for a 24 hour period and $12 for a three day period. An annual membership is $85 (there is a special price of $60 until the end of July). Your ride is free for the first 30 minutes! Be aware you need a credit card to rent the bikes. There is a $101 security deposit placed on the card, then returned to you when the bike is returned. There are 61 stations set up around the city, providing 610 bikes. I have so far seen 4 New Balance Hubway stands. Where have you seen them? GO RIDE! Posted on July 28, 2011 by Brandon Bettencourt and filed under events, fun, sweat, fitness.